Hope on the Horizon » Blog Archive Opioid Epidemic Update: What’s Happening in Our Community? Every day, more than 115 people in the United States die after overdosing on opioids such as prescription painkillers, heroin, and synthetic opioids such as fentanyl. It is a deadly and devastating trend that despite advocacy by health organizations, researchers, and political organizations has failed to stop its rapid incline. As the consequences of opioid misuse continue to take lives, and headlines across the nation continue to beg for a solution to this national crisis, progress is being made to offer education and resources to mitigate the opioid overdose trend and provide those in pain alternatives to recovery. Learn the latest of what is happening nationally, in New York State, and here in Western New York. Eleven million Americans misused an opioid pain reliever in the past year. U.S. lifespan estimates declined for the second year in a row, primarily due to deaths from drug overdose. Opioid over-prescribing is shrinking the number of eligible workers in our nation. Promoting the use of overdose-reversing drugs, such as Narcan. According to the New York Health Foundation, annual health care expenditures related to opioid abuse total $1.2 billion in New York State. Across New York State, targeted efforts are being made to expand access to resources, increase education, and provide alternative therapies to pain management. In his 2017 State of the State address, Governor Cuomo discussed several planned measures to address the epidemic, such as expanding the use of opioid prescription monitoring in emergency rooms, eliminating barriers to outpatient and inpatient treatment, and helping young people in recovery finish school while maintaining their sobriety. Integrating prescription drug monitoring programs into clinical settings. Improving data collection and sharing. Across New York State, and here in Western New York, law enforcement agencies have been adopting a policy developed in Albany known as Law Enforcement Assisted Diversion (LEAD). Under LEAD, rather than arresting an individual on low-level drug charges, police officers, prosecutors, and defense attorneys are working together to divert individuals directly to a case manager to facilitate access to a comprehensive network of services for drug addiction, alcoholism, mental illness, and other health-related issues. 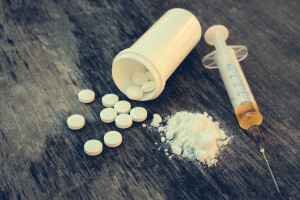 Despite bleak headlines and too many lost lives, the groundwork is being laid locally, regionally, and nationally to stop the upward climb of opioid-related loses and change our culture from one of relying upon dangerous substances to manage pain and seek highs, to one where medications are used efficaciously, and illicit drug use is reduced. If you or someone you love is suffering from opioid addiction, contact the treatment and recovery experts at Horizon Health Services today.